Who could be against “smart schools”? The answer: not nearly enough New Yorkers to defeat Proposal 3 on yesterday’s statewide ballot, which authorizes $2 billion in state borrowing to finance local school district purchases of computers and other classroom technology; expand schools’ high-speed and wireless Internet capacity; install “high-tech security features”; and build new classrooms for pre-kindergarten programs. 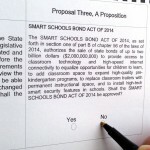 The “Smart Schools Bond Act” emerged out of the blue in Governor Andrew Cuomo’s State of the State address in January and was passed with little debate as part of the 2014-15 budget. Although the proposal was never embraced by the Board of Regents or by major public education groups, it was a centerpiece of Cuomo’s K-12 education agenda. In the final weeks of the general election campaign, the state Democratic Committee sent out a statewide mailing promoting a “yes” vote on Proposal 3, which was also mentioned in at least one of the governor’s campaign commercials. Just last week, it was disclosed that New York State United Teachers union had committed $200,000 to its own push for support of the bond proposal. On the other side, the Empire Center led the way in calling for a “no” vote, explaining our position in articles and interviews linked on this website. 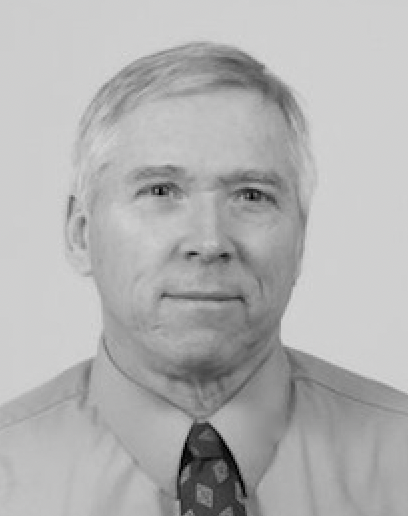 The Citizens Budget Commission issued a strong memo taking the same position. At least 19 newspapers — including all of the state’s largest dailies except The New York Times (which had nothing to say on the subject) – published editorials in opposition to Proposal 3. New York State is likely to bump up against its statutory debt cap in three years, even though it has enormous infrastructure needs for which no source of financing has been clearly identified. Now that the bond issue has been passed, the Empire Center will be monitoring its implementation. With heavy marketing spin in ballot language, Prop 3 sailed to passage despite broad editorial opposition. 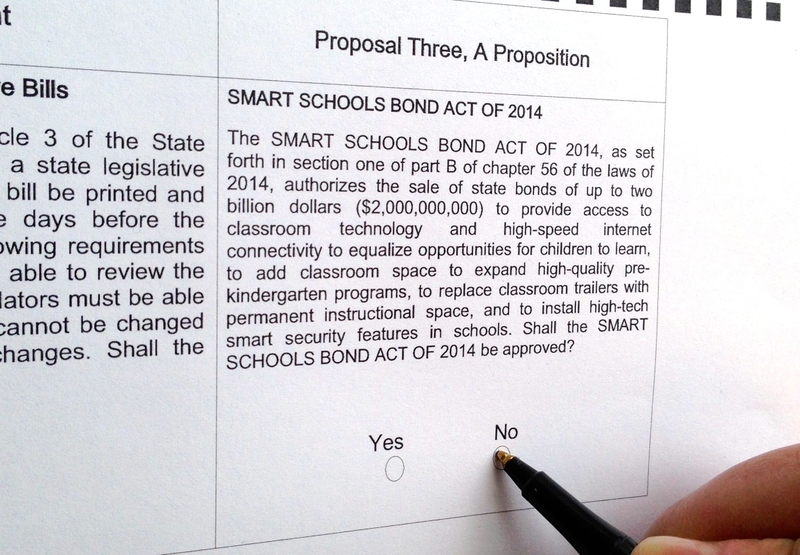 New York City will get the most out of school bond proposal okayed yesterday. Go figure: NYC, with higher bond rating and more bond capacity than state, gets $730m from Prop 3.